I keep wanting to write about librarianship in meaningful ways, but every time I get a post started I either write myself into a circle of apathy or I get so mad I give up. I love being a librarian, and I love and admire other librarians, but man we have some problems. We are split on so many topics (to safety pin or no? to be required to have a master’s degree or is that harmful and limiting to the profession? to be a place of “neutrality” or take a stand? to become more like corporate bookstores or not? to give in to technology or fight it with our last gasping breath?!?!?!?!!?!!! ), and we have a weird sense of self-importance that is not deserved, and we do nothing to further our own profession. In fact, I feel like we are driving our profession into the ground. What aggravated me about grad school were all of my professors lamenting how there are no jobs and how the profession is changing into a bastardized monster of its former self. This is not what I saw. What I saw were more libraries opening, more states like Ohio and Maryland taking very good care of even their public librarians, and library and information professionals finding wonderful ways to communicate with patrons and academics about the critical nature of literacy, information ethics and equity, and advocacy for access to knowledge. I saw awesome things like the Library Freedom Project and incredible professionals like Dr. Carla Hayden, who once taught at my graduate school in library sciences and is now the Librarian of Congress. But my professors (and many working librarians I encountered) were so bitter, so reluctant to give us the tools to be innovative and competitive. COMPETITIVE!! We are so behind the information game, and all of our “innovations” are either empty and/or cumbersome gestures or outdated even in their conception. And yet, my professors were all too happy to grasp and ownership of Ada Lovelace and Paul Otlet, claiming that they were closer to us than to computer scientists. You know who should have been closer to computer scientists? LIBRARIANS!! As was expected, I’ve been dreadfully bad at this blog since school. Let’s be real, I was bad before. My graduation resolution will to not be bad. I’ve said that before, so let’s just accept that I’m terrible at blogging and move on. Grad school and diving into all things library has been incredible. I’ve been enjoying my classes and the new things I’ve been learning, despite my being completely overwhelmed and overworked (my own fault, as is the norm). 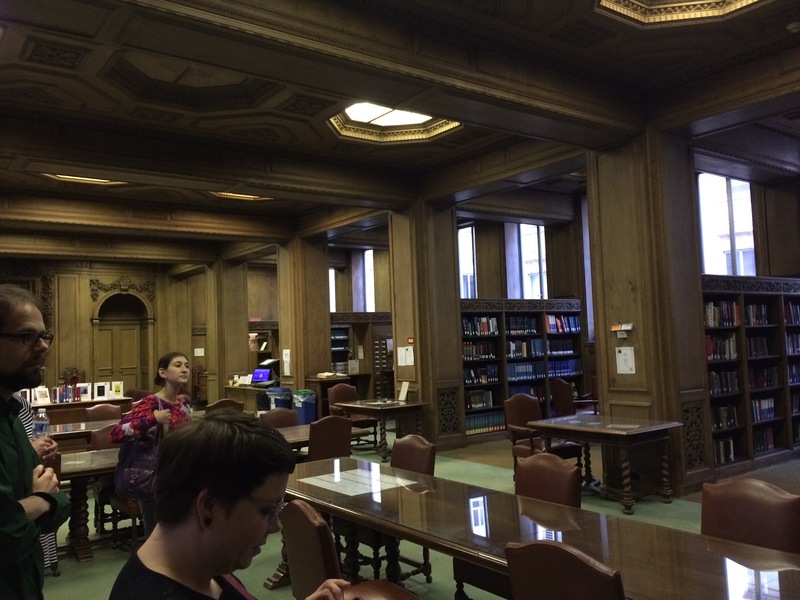 A very cool event that I was lucky to attend last month was a small tour of usually unseen library and special collection spaces in the Oakland area. 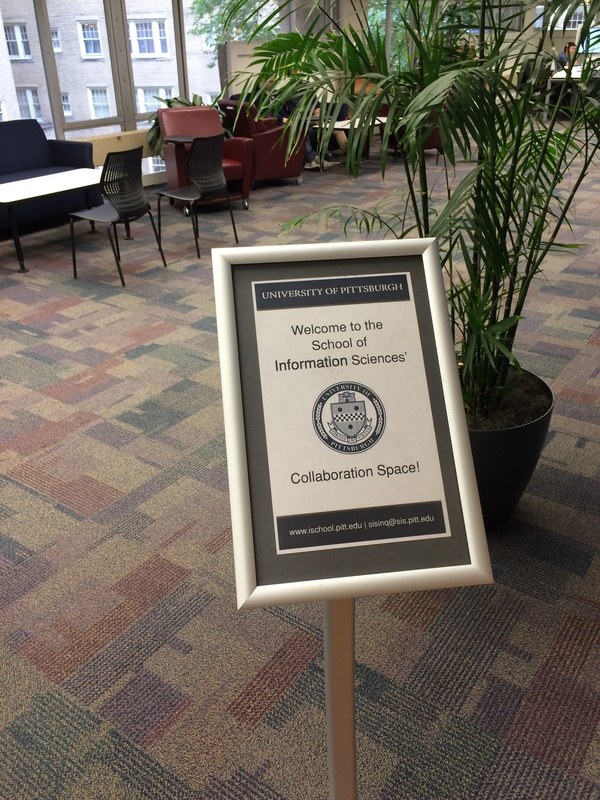 We started off in my University of Pittsburgh’s School of Information Sciences building. We have an interesting media commons on the 3rd floor that includes collaborative work spaces with large flat screen TVs, hookups, and comfortable seating. The space also accommodates quiet study and large events such as speakers, classes, and colloquiums.After refreshments and some chatting, we migrated across the street to CMU’s Mellon Library. The Mellon Library has been featured in several films (remember, Pittsburgh is a pretty big film city), most notably The Mothman Prophecies and The Dark Knight Rises. Richard Gere discusses some paranormal happenings with an expert in the reading room. And while their paranormal collection isn’t really existent, CMU does have a very valuable industrial hygiene collection that dates back to the 1930s. Librarians didn’t realize what they had on her hands until pieces started going missing. Lawyers were stealing them to help with cases dealing with asbestos and the like. They now keep the collection under lock and key, and if a lawyer calls to request the materials they are redirected to CMU’s legal team. Researching precognition (or industrial hygiene)? This is the place to do it. It’s only been two weeks since my graduate program started at the University of Pittsburgh, but I already feel completely immersed and totally sucked in. That is the nature of fast-paced graduate programs, and mine is only a year so we really are moving at warp speed. Since I’m incredibly busy and don’t have quite as much time to devote to writing or watching Hitchcock films or reading books for the Shameful Book Club (still trying though), I really want to try to at least write about my LIS experience. 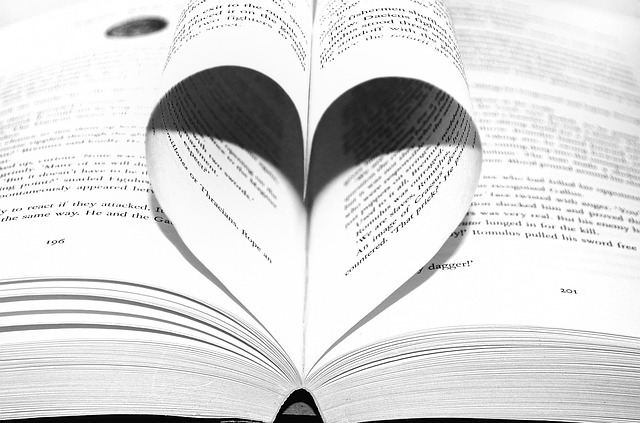 As I mentioned in my last Shameful Book Club post, I will be starting the incredible MLIS program at the University of Pittsburgh next month, and I can’t wait. No really, I can’t wait. 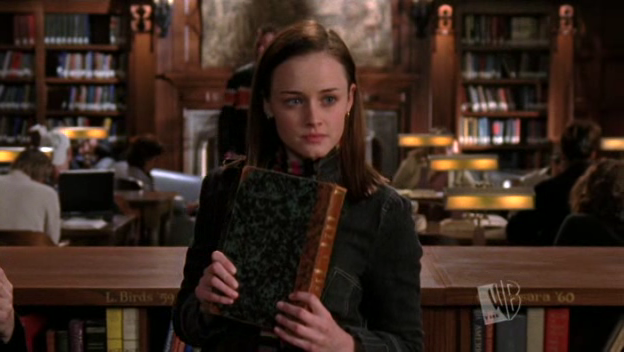 I already bought my text books and am getting a head start on the reading (yes, I’m a Rory Gilmore). I thought I would write a post about all of this because people have been asking and it’s going to cause a change in my blog, so might as well explain that! I’m pretty sure my taking this path makes sense to most people who know me. My mother is a librarian, I grew up in the stacks, I love books, and my professional skill set is very skewed toward program management and public interaction. Therefore, a librarianship doesn’t seem so out of place for me. There are multiple paths I could take as a library professional that would compliment my experience, interests, and skills: film archival to get that undergrad degree in play, music librarian because that is a bit of an obsession of mine, academic librarian because I love higher education and researching obscure topics, museum work for much of the same reasons, or public librarianship, which is what I’ve decided to focus on.